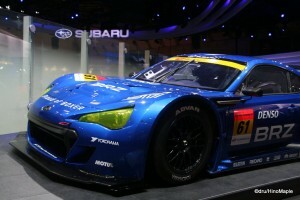 In December of 2011, I had the luxury to head to the 2011 Tokyo Motor Show. It is a regular pilgrimage for me to go and see this event. The Tokyo Motor Show has been held every second year since 2005. Prior to 2005, it was held every year, however one year was dedicated to passenger vehicles and the next was dedicated to commercial vehicles. Since 2005, they combined both shows into one large event. The last Tokyo Motor Show was in 2009 and it was at the height of the financial crisis that started in 2008. While a lot of the pain of the financial crisis had subsided a lot, most of the planning for the 2009 show had to occur in the beginning of the 2009 and a lot of manufacturers pulled out of the show citing financial problems and a declining relevance of the Tokyo show itself. The 2011 show had a very different feeling and it is debatable whether things got better or worse. 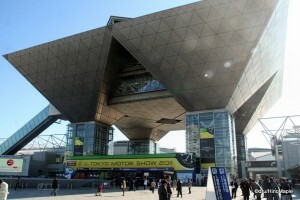 The 2011 Tokyo Motor Show had moved from its recent traditional home of Makuhari Messe in Chiba to Tokyo Big Sight in Odaiba. It was a bit of a shock for me to hear that, but at the same time I was very happy to hear it. I don’t normally enjoy heading out to Makuhari Messe as it feels very far away. Odaiba is still within Tokyo and there is a lot to do in the area. Makuhari is a somewhat isolated area that is famous for the convention hall, baseball stadium, and outlet mall but not much else. In 2005, the largest show I attended, it occupied all of the main halls in Makuhari Messe. This created over 70,000 square metres of exhibition space. In 2009, they only occupied the main halls with over 54,000 square metres of space. It was a very noticeable difference that year. For 2011, they used all of Tokyo Big Sight for roughly 80,000 square metres of exhibition space. I couldn’t completely verify the numbers for Tokyo Big Sight but I thought it was a lot smaller than that. It is a large convention hall regardless and it still took me nearly a full day to see everything. The theme of the 2011 Motor Show was “Mobility can change the world”. On the Tokyo Motor Show website, they say the motto shows how technology developed in cars and other vehicles can help change the world for the better. Whereas the typical internal combustion engine has been derided as a harmful invention for the environment, the organizers of the show wanted visitors to understand how the various manufacturers were trying to change people’s perceptions. In 2009, the motto was “Fun Driving for Us, Eco Driving for Earth”. This is a bit more fitting as they are explicitly talking about the new green technology that most of the manufacturers were trying to promote. While the 2011 show did have a heavy “green” theme to it, it also had a very strong theme that things will change in the future. 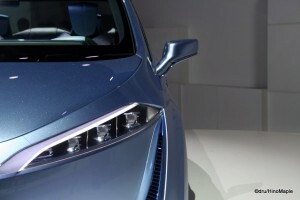 All of the manufacturers in attendance brought the standard set of concept vehicles, new vehicles, and displays of technology. Upon reflecting on the exhibits I visited, there did appear to be a bit more emphasis on technology at this show compared to past shows, but it could also be a bit of a bias on my part after researching this post and reflecting on what I saw. 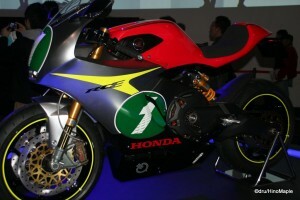 The 2011 show was most notable for its return to Tokyo, as well as the return of a few foreign manufacturers. In 2009, a lot of the manufacturers pulled out leaving the show nearly crippled. This time, enough had returned to create a better balance, but on the whole most of the exhibits were Japan based manufacturers. In fact, the Toyota group took up an entire hall on their own displaying the various products from Daihatsu, Lexus, and of course Toyota. All of the manufacturers brought various new cars as well as concepts however the area seemed to be more spacious. I was lucky enough to attend the show on a weekday, but it was still as busy as ever and very hard to get around. It wasn’t very enjoyable trying to fight with people trying to take photos but that is the life of those who can’t go to the show on press days. Comparing this show to the past shows I attended, I would say that things are similar, yet different. I was happy that the show was back in Tokyo, rather than still being in Chiba. I was also happy that I could go on a weekday and see the various new cars. Unfortunately, there weren’t many world premier cars at the show. The relevance of the Tokyo Motor Show is decreasing each year and I fear that the ability to see cars for the first time in person before most of the world will be rarer and rarer. With China and India vying for greater importance in the automotive world, Japan will be nothing more than an afterthought as most manufacturers, Japanese included, vie for increasing markets in developing countries. Let’s hope those in Japan can continue to get a top notch motor show for the foreseeable future. This entry was posted in Festivals, Tokyo and tagged 2011 Tokyo Motor Show, Chiba, japan, Makuhari Messe, Motor Show, tokyo, Tokyo Big Sight, Tokyo Big Site, Tokyo Motor Show by Dru. Bookmark the permalink.